Mrs. Liza Johnson a graduate housewife has a daughter 4 years old and she is supported by her husband, a young graduate planter, holder of First Aid & Hospitality certificate. Fully furnished bath attached three double bedroom with most modern facilities. 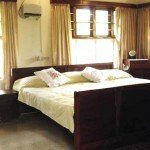 US $21 per room per couple per day. Delicious Indian/Chinese/ Kerala food can be arranged with reasonable cost. 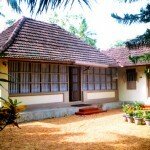 Situated in a beautiful village Kappumthala near Kaduthuruthy in Kottayam Dist. Kumarakom lake is just 30km away and nearest Airport Kochi International -Airport 48 km away easily accessible by road. Tropical Climate, temperature varies from 22 to 320C. English is generally understood by all. Any kind of transportation can be arranged including picking, dropping from Airport, Railway Station, Bus stand. 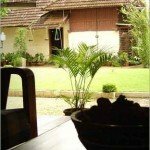 Conveyance can also be provided to all Tourist destinations in and around Kottayam. Kumarakom lake 30 km, Munnar Plantations, Thekkady Wild Life Sanctuary & Vagamon Hill Station. 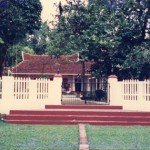 Our villa is on a small hill surrounded by big trees and plants. There are small hills and mountains for sight seeing, ancient temples and churches and different varieties of birds which gives a different atmosphere for people especially who are coming from abroad to spend their holidays. Traditional Ayury.edic treatment such as ‘Uzhichil’, ‘Pizhichil’ ‘Panchakarma’ ‘Yoga’ and ‘Marma’ etc. are available including facility to enjoy and learn ‘Kalari’ as C.V.N. Kalari is just 6 K.M away from our villa.